Fashion takes many forms but one thing that we can guarantee is that it’s unexpected. We may be able to accurately predict many trends, but there are always surprises that seem to come out of nowhere with a legion of early adopters. (Where else would we have gotten grandpa sneakers from?) 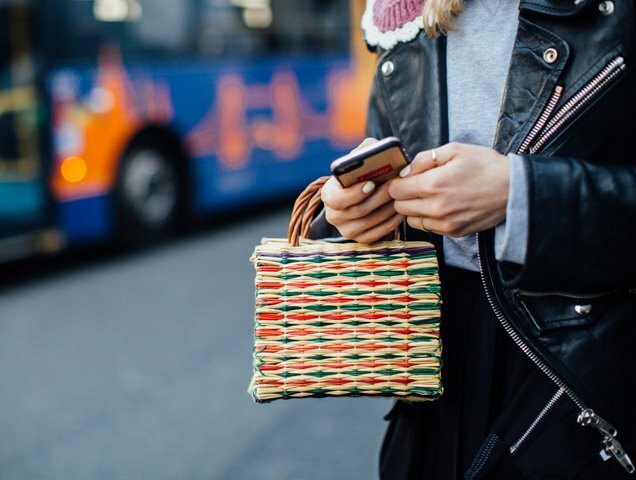 This season, basket bags are suddenly turning up on the arms of stylish city dwellers. Basket bags add a laissez-faire, just-got-back-from-Saint-Tropez vibe to any outfit, whether it’s a maxi dress, jumpsuit or even a glamleisure look. What was once reserved for beachy locales comes across as fashionably unexpected on the city streets, adding shape and texture to an outfit. 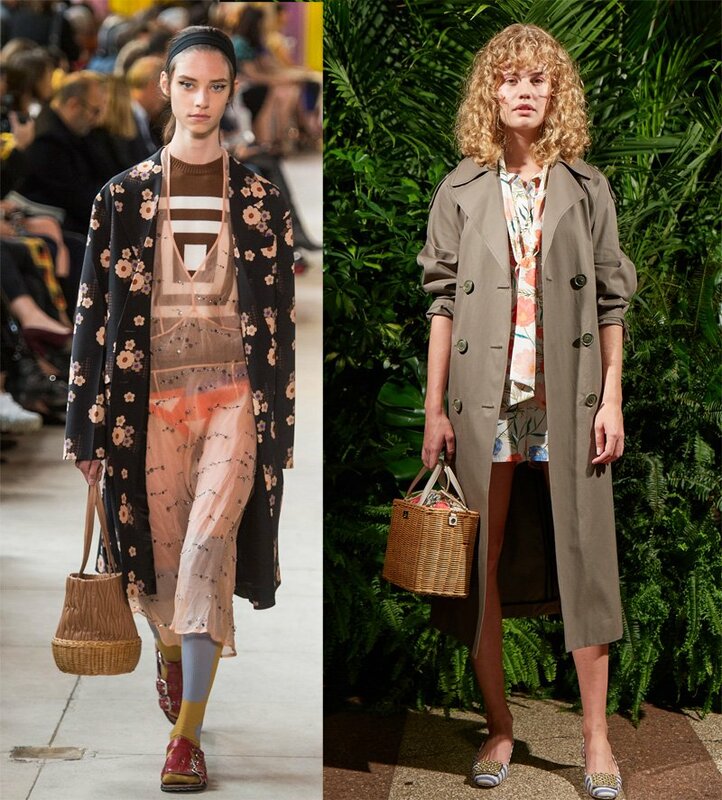 The runways were filled with chic basket bags that work in all locales. Prada, Kate Spade New York, Michael Kors, Fendi, Miu Miu, Jimmy Choo, Ulla Johnson, Badgley Mischka, Brock Collection and 3.1 Phillip Lim showed various options for Spring 2018. They ranged from microsized picnic baskets to architectural straw designs to festive styles decorated with fringe, pompoms and different colors. Don’t have a designer budget? There are high street basket bags for all price points that are just as chic and inventive as the designer versions. Whether you decide on a micro basket or a more substantial tote, remember not to overstuff it as you don’t want the raffia to warp or snap. The goal is to have a bag that survives the city, beach days and a tropical vacation or two. Here are 16 raffia basket bags that will see you through the season, no matter where you are.